“I am never ever ever going back to school” yelled little Nikhil and stomped into his room. His mom knew that he was having a hard time making new friends after they had shifted their residence a few months ago. But now, she was beginning to grow tired and worried. His grades were going down, he refused to go and play… something had to be done. Her doubts were confirmed the very next day at the Pediatric Ophthalmologist’s. “You son needs glasses” she was told. 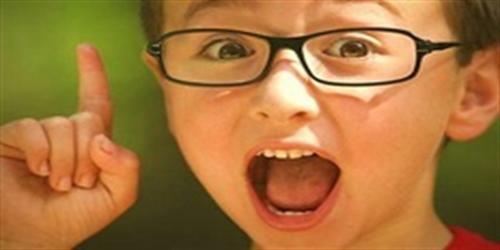 Did you know that somewhere in the world a child becomes blind in both the eyes every minute? Of the 1.5 million blind children in the world, it has been estimated that 20,000 are Indians. Half the blindness in children can be avoided by prevention or timely treatment. A child’s vision is poorly developed at birth. A month old baby can see clearly only up to a distance of about 2 feet. Soon, nerve tissues, muscles and lenses develop so that a child’s vision is nearly developed by the time he / she is 3 months old. Your baby’s eyes give it an awareness of space, location, color, depth and shapes. This helps your baby’s brain obtain vital understanding of its environment. Fine tuning of your child’s vision development continues right until adolescence. • Your child may not even understand that he has a vision problem. 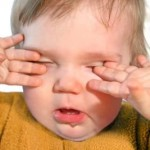 Some vision problem symptoms may go unnoticed even by parents because they do not know that it is abnormal. • It is essential to nip eye problems in the bud to ensure that the visual pathways develop correctly in your child’s brain. • Eye exams can throw up clues of overall health problems. Nikhil had a classmate who was detected with a rare brain tumor at a routine screening. There was no other way this could have been found out! The doctor told Nikhil’s mom that he had Myopia. That was why he could not see the blackboard at school or the cricket ball in his playground. ‘How many times must my poor kid have been yelled at or teased at just because he could not see clearly’, Nikhil’s mom wistfully wondered. • Discuss with your kid if they have trouble seeing the class board from the last bench. This will prompt your child to come to you in case she identifies such a problem at any later point in time. • Contact your Pediatric Ophthalmologist if you notice any redness, excess watering, discharge, drooping eyelids, either eye turning in/out, tendency to rub the eyes, jerky eye movement, or abnormal looking eyes. • Diet: Vitamin A rich foods like green leafy vegetables, carrots, drumstick, beetroot, mango, papaya etc. should be encouraged. • Do not apply kajal to newborns or wash their eyes with rose water etc. • Encourage the use of protective eye wear during swimming and contact sports. The computer screen should be slightly lower than the eye level. TV should be viewed at a distance of 4 meters in a well lit room. The child should consciously blink at regular intervals and give rest to his eyes. Discourage neighbors, friends and family members from joking about glasses. Sensitize them to the child’s need for glasses. “Mummy”, Nikhil hollered as he came in from play. “Guess what? I hit two sixers and a four today! …And you know what; Shantanu said I was his best friend… And guess what teacher said in school today…..“ His mother looked fondly at him as he rambled on and on… It was a wonder what a simple pair of spectacles did to their son.